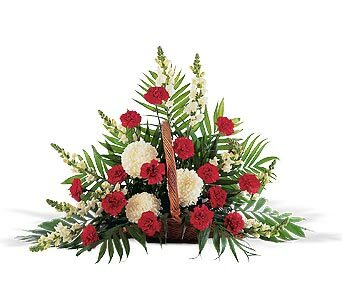 This beautiful red and white arrangement reflects all the moments that you cherished together. One classic arrangement of white snapdragons, standard chrysanthemums and red carnations arrives in a natural fireside basket. Page loaded in 0.5557 seconds.